When we talk about the gut microbiota (commonly known as intestinal flora), we refer to the set of microorganisms that inhabit, mainly, in our intestine. The microbiota participates in different functions, such as: correct body growth, development of immune system or the nutrient metabolism. Although it is mostly known for its influence on inflammatory and digestive processes. For some years, the study of the microbiota has acquired special interest, due to its close relationship with health, since it has been considered as environmental factor in the investigation of various diseases. 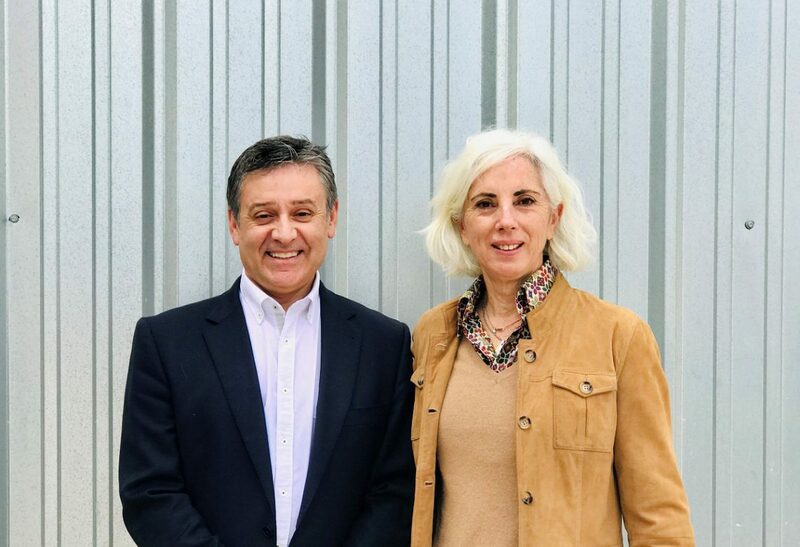 Dr. Vicente Navarro is the principal investigator of MiBioPath Group, Chair of Infectious Diseases and Human Microbiota at the San Antonio Catholic University of Murcia (UCAM) and Head of the Bioithas Research Institute at the Alicante Scientific Park. In addition to his research projects and his work as a university lecturer, he is responsible for the Infectious Diseases Unit of the University Hospital Vinalopó in Elche. He also won a National Prize for the best research project in psoriasis and psoriatic arthropathy in 2015. Today, Vicente Navarro alongside his team is a global reference in gut microbiota thanks to the research he has carried out on gut microbiota and cutaneous diseases. Last August, the National Association of European Business and Innovation Centres (ANCES) awarded Bioithas, where he develops his research projects, the Innovative Technology-Based Company (EIBT) stamp. In Spain, this stamp has only been given to 250 companies in the last 15 years. In collaboration with the Vinalopó Hospital and the UCAM, Dr. Vicente Navarro has published a study on psoriasis treatment with probiotics, as well as the usual therapy, improves in prognosis and treatment of this pathology. We speak with Dr. Navarro about his study on psoriasis and the latest advances in microbiota in skin diseases. – Infectious Diseases and Human gut microbiota chair at the UCAM, the first Microbiota chair in Spain, how did you get to? This is the consequence of the research that has been carried out at UCAM and the Vinalopó Hospital. In particular of the discoveries we made regarding the relationship of intestinal microbiotics (set of bacteria) with systemic inflammatory and autoimmune diseases. – Where are these studies taking place? Right now, we work in 8 clinical trials with almost 400 patients. We have studies at the Ramón y Cajal Hospital in Madrid, with the approval of their Ethics and Clinical Research Committee. The 9 de Octubre Hospital in Valencia, the Vinalopó Hospital in Elche, the University Hospital of Torrevieja, the Vistahermosa Clinic in Alicante, the Hellín Hospital and particularly at Vithas hospitals. With Vithas We have signed an agreement to bring you some of the main lines of research in different units and services of your hospitals in which we are investigating. They have also offered to work with them in hospitals in Almeria or Marbella, among others. We would like to be present throughout Spain, as long as there is a possibility of including patients with these pathologies. -Recently, Scientific Report magazine has published your research work on the specific intestinal microbiota of patients with psoriasis; In addition, your work on the modification of the microbiota with probiotics to improve the prognosis and treatment of psoriasis is currently under evaluation in an important world-renowned journal. Could you tell us about this line of investigation? Up to this moment, no other research group had shown that intestinal gut microbiota recorded data of patients suffering this disease presented any difference compared t healthy population or with patients of any known disease data. The results of our research have shown that treatment with a probiotics, along with the usual therapy of this disease, improves both prognosis and the response of patients with psoriasis. This change is accompanied by a normalization of the altered microbiota in these patients. We have been able to demonstrate how acting on a new therapeutic target, we can add on to the current treatment of this complex disease. Mybiopath Research Group at Vinalopó Hospital , Elche, Alicante, Spain. Before continuing, could you clarify what are the differences between prebiotic, probiotic and postbiotic? Although we cannot forget a fourth term, the symbiotic, which is the mixture of prebiotics and probiotics. – In addition to psoriasis the application of probiotics in other skin diseases is being also investigated, specifically acne, what can you tell us about this topic? If we talk about skin diseases, psoriasis and atopic dermatitis is where we have the greatest scientific evidence. Currently the study of skin and microbiota is booming. Acne is a disease that affects millions of people, involving in some cases an inflammatory respond. At this point the role of the probiotic comes into play, with the aim of decreasing this inflammation. At the Bioithas Research Institute we are working on a clinical study with acne. Possibly by the end of the year we will have consistent results, and we hope they are positive. This could potentially help many people suffering from this problem. Up to today we do not have any current on-going research on this field but it is a project to develop in the future. The research will possibly be focus on changing the microbial ecosystem not only of the intestine but also of the skin, by ingesting a harmless tablet that has been proven to have a beneficial effect for the patient, without side effects for the vast majority of people. – Do you mean to include probiotics as cosmetic products? Exactly, no longer as probiotic but as a prebiotic, or even what is now called a postbiotic.Unlike the prebiotic it is not a living bacterium, since it would be more difficult to keep it alive in a liquid or semi-solid medium. – Recent research links the microbiota with allergies, chronic diseases and other pathologies. Apart from the research already mentioned, are you carrying out any parallel research related to the modification of the microbiota? We have several projects underway; one of them is the patent for a bacterium that could be causing outbreaks of multiple sclerosis, a chronic neurological disease. We cannot disclose any more details on this development at the moment since there are several promoters and researchers involved and there is a great interest in knowing the final results that will be achieved at the beginning of 2019. Possibly with these data we will develop a prognostic method that will help us predict or know in advance whether the patient will respond positively to the already existing treatment for this disease. All this based on an easy analysis performed on samples from these patients. On the other hand, we are working on a clinical trial to improve migraines with the use of probiotics. Regarding future projects, we plan an investigation project on dog gut microbiota for the treatment of atopic dermatitis. It is a very common disease in this species. For the moment, it’s all I can give away. However, it is clear that there has been an increase of interest in microbiota research. That’s right, at the World Congress of Microbiota. I am flying to Amsterdam where I will offer a talk about the role of microbiota and the use of probiotics in skin pathology. And the next day, on November 28th, the Medicine and Surgery Academy of Murcia has invited the MiBioPath Research Group and all its members from the UCAM, Vinalopó Hospital and the Bioithas Research Institute to present our studies on the Human Microbiota. – Regarding Bioithas, what will the next step be? So far, Bioithas has focused mainly on working with other companies, such as external consultants or external studies, most of them from the pharmaceutical sector. Next year we will have our own probiotics strain. In this way we can develop studies with our own strains, based on a series of data, bibliographies or tests, to be able to offer them to other companies interested in exploring their value and properties in other diseases. – Before saying goodbye, we would like to thank you for giving us this interview. It has been a pleasure. Undoubtedly we have a long way to go in terms of micro technology research.